The Smart Podcast Player plugin comes with two different types of players. Watch this video to learn when and how to use each one. Which player you should choose will depend on what you want your listeners to do. Smart Podcast Player or "Full Player"
The Smart Podcast Player is pictured below. We sometimes refer to it as the full player, as it allows you to play your full podcast library. We abbreviate this as SPP.If you’re on a page where you want your listeners to explore all your podcast episodes, use the full Smart Podcast Player. 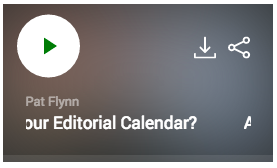 You'll also notice a button ("Join SPI Newsletter") just under the title of the episode in the full player. That's our Email Capture feature, where you can inspire your listeners to sign up for your email list directly from the player! Learn more about Email Capture. 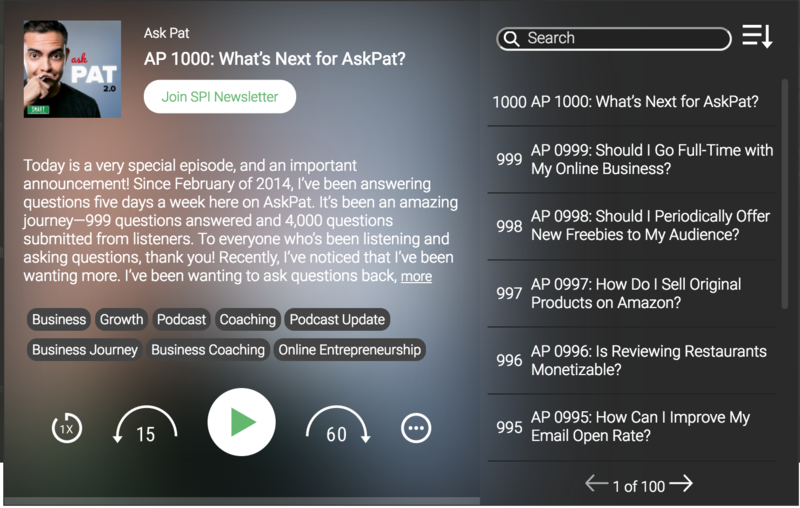 For example, on AskPat.com, because each episode is short (from 10 minutes to 30 minutes long) we want visitors to this page to stay and listen to more than one episode at a time. With the full Smart Podcast Player, they can listen to the entire library of podcasts. This player is great for your website’s home page or for your main podcast category page. Smart Track Player or "Individual Player"
The Smart Track Player is pictured below. We sometimes refer to it as the individual player, because it is used for playing a single podcast episode or audio track at a time. We abbreviate this as STP. This player is excellent for an individual blog post about your podcast episode (your episode's show notes). 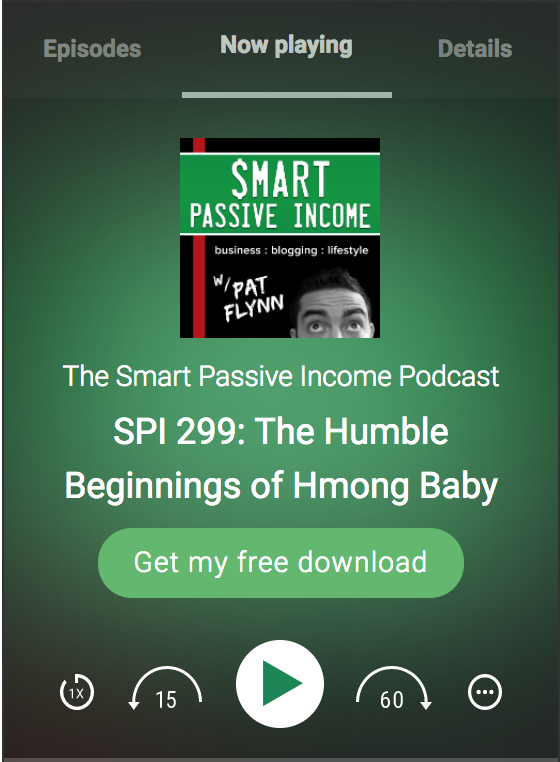 For example, episodes of the Smart Passive Income Podcast are much longer and have extensive show notes that need their own blog post. In this case, we want visitors to the page to listen to that specific episode of the podcast. On this page, we’ll use the individual Smart Track Player, which only shows a single episode at a time. This player is great for your show notes or blog posts. Now that you understand the differences between the Smart Podcast Player and the Smart Track Player, let’s install the plugin.